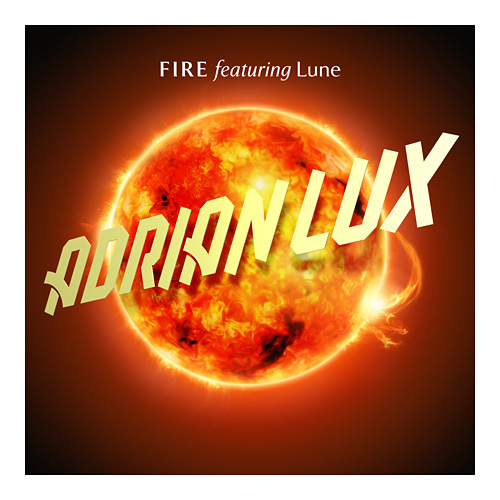 Adrian Lux is back with his brand new single “Fire” featuring Lune. A taste of his forthcoming self-titled debut album (out in March on Ultra Music). “Fire” showcases Adrian’s adept talent for marrying a great dance track with vocals and cements Adrian Lux’s status as a rising star in the dance music world. “Fire” is set to be released in two phases: February 7th featuring the Radio Edit, Extended and Instrumental Mixes; and February 21 featuring remixes from R3hab, Jeremy Olander, Style Of Eye and Mikael Weermets. While Adrian’s original version walks the line between pop and the dance floor, his hand-picked remixers bring things to peak time levels. With smash original productions “Alive,” “Teenage Crime,” “Strawberry,” “Can’t Sleep” and “Boy;” and recent remix work for the likes of Britney Spears, Natalia Kills, Roger Sanchez, the TRON soundtrack, Miami Horror and PNAU already under his belt, Swedish based Grammy nominated (2011) and Aria nominated (2011) Adrian Lux is one of the hottest young producers on the scene. His smash “Teenage Crime” is certified Platinum in Australia and Adrian consistently receives worldwide DJ support from the likes of Tiësto, David Guetta, Avicii, Ferry Corsten, Sander van Doorn and more. It’s also just been announced that Adrian Lux has been nominated for two Grammis (Sweden’s Grammy Awards) in the “best electro/dance track” (along with Avicii, Little Dragon, Rebecca & Fiona and Swedish House Mafia) and “Newcomer of the Year” categories.